Coming this May! 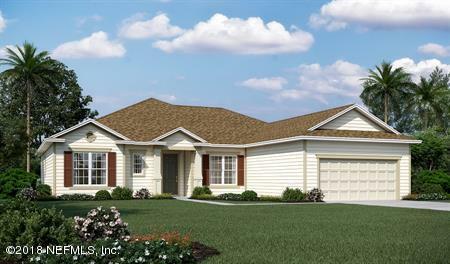 The Issac is one of our more popular ranch homes! 3-car garage & huge driveway! This home offers a split floor plan with spacious bedrooms. The Issac will have beautiful luxury vinyl plank throughout, Upgraded white 42'' cabinets, granite kitchen countertops & also feautures a gourmet kitchen with double ovens! The large center island over looks the emense family room & also off the kitchen is a large eat-in nook area that leads to the covered patio. Home also has a formal dining room for entertaining & large study. This exceptional St. Augustine community offers many amenities, including a community pool & fitness center, as well as easy access to schools, shopping, dining, I-95 & beaches. A-rated school system. Ask about our Energy Efficiency & Warranty programs!Please ask about our CDD & closing cost offers as well.